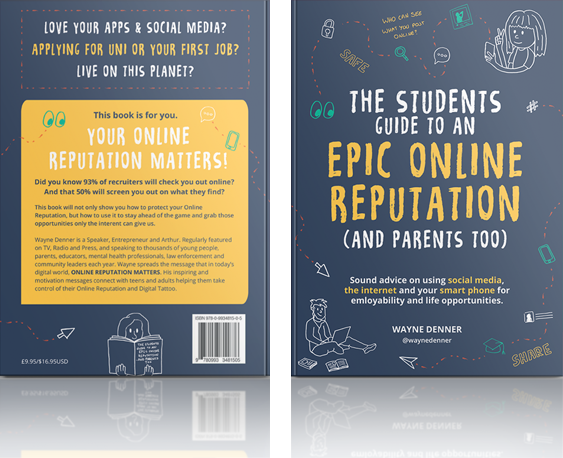 This book is the essential guide for young people who love Social Media and parents who want them to use it to get ahead. Students can increase their chance of becoming employed by following Wayne’s advice and learning from his many years of experience. 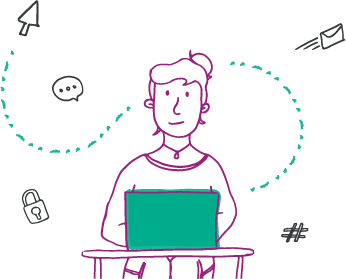 Wayne inspires and motivates students to protect and take control of their online lives and maximise their individual talent. Wayne teaches students and parents that everything you do and say online contributes to your digital footprint and has an effect on your Online Reputation. 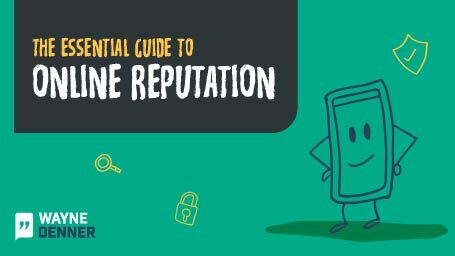 That’s not to say it’s all negative, it’s up to you to manage what you share online and how you protect your Online Reputation. Wayne’s book, The Students Guide To An Epic Online Reputation (and Parents Too), has everything you need to know about protecting your Online Reputation and using social networking and your smart phone to prosper in a digital world. Order ‘THE STUDENTS GUIDE TO AN EPIC ONLINE REPUTATION (AND PARENTS TOO)’ from your favourite book seller soon.